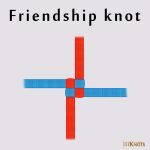 The sheepshank knot is mostly used to shorten a length of rope temporarily. Not being a stable knot, it falls apart under too heavy or too little load. Hence, it should be avoided. The Ashley Book of Knots cautions against using it and advises to seize or secure the ends to make it safe unless the need is purely temporary. Kamikaze knot – This slight variation is made by splicing the middle of the sheepshank knot. Sheepshank with marlingspike hitches – The safest variation uses slip knots instead of half hitches for tying. 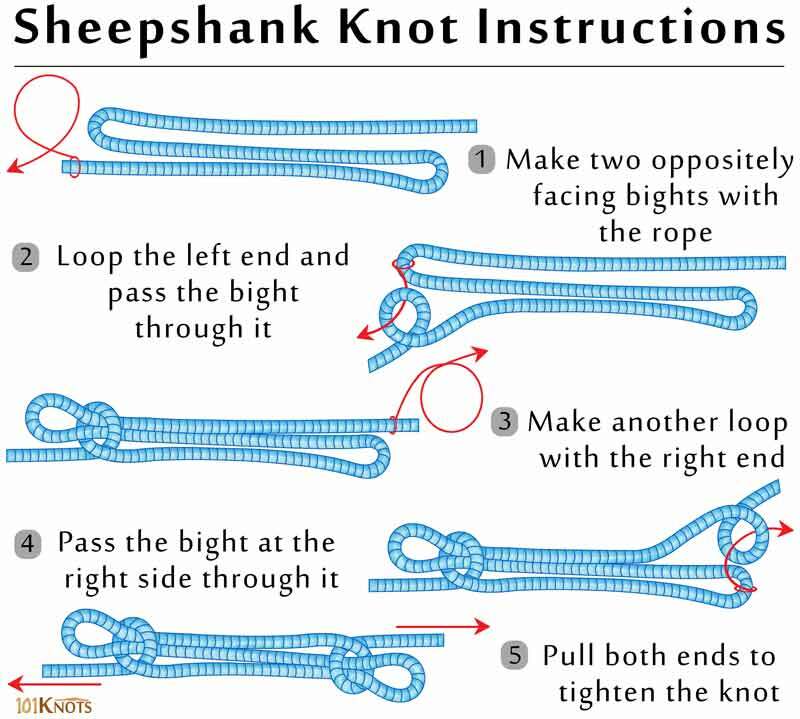 Man-o’war sheepshank – Also known as the Fireman’s chair knot, it is a sheepshank knot with a handcuff knot in the center. Remains secure under tension, especially for the coarser ropes. Protects a damaged, weakened or frayed rope. Can be easily undone on removing tension. So, tension needs to be maintained at both ends to keep it in place. Fails under load when tied with slippery synthetic ropes even when it is under tension. Almost impossible to tie under load. Cannot pass through sheaves or blocks. For securing loads to trailers or trucks. Alpine butterfly knot – Safely shortens a rope while being an excellent midline knot.